This week has a few star buys but the most stand out issue has to be George Romeros Empire Of Dead Act One #1 publishedby Marvel this week. Zombie Godfather George Romero unleashes his next undead epic in a new Marvel series. Set in New York City years after the undead plague has erupted. Just because Manhattan has been quarantined, don’t think that everyone inside is safe! Not only do flesh-eaters roam within Manhattan, but there’s another ancient predator about to take a bite out of the Big Apple! 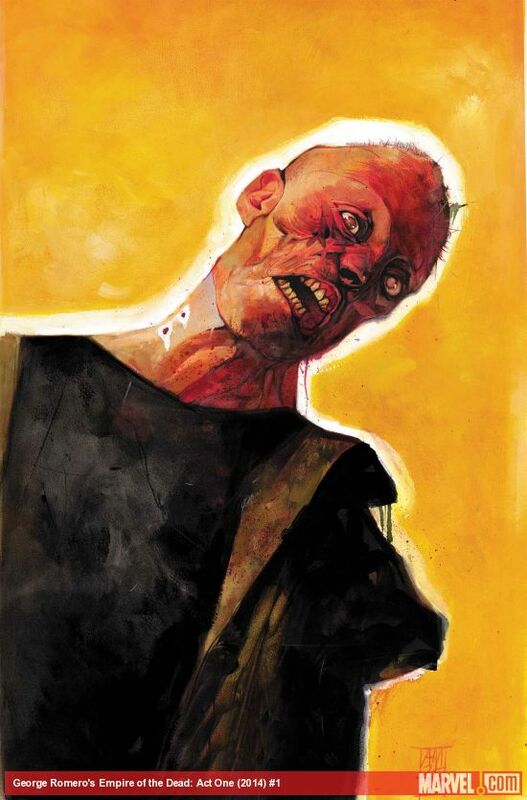 Plus: It’s a terrorizing team-up in variant cover form when the Zombie Godfather unites with the Zombie King – Arthur Suydam!